It”s that time of year again. Thanksgiving is two weeks away and so today I’m posting the all-grain version of my Cranberry Zinger — a great beer to serve on Thanksgiving day. Quick and easy to brew, and virtually foolproof, this is a great seasonal beer. The all-grain version differs slightly from the extract version. Basically, the OG is little lower, but don’t worry — it’s not brain surgery. Almost any wheat beer base from 10–13 °Plato (1.040–1.052), all-grain or extract, will work fine. This recipe actually makes a nice American wheat beer, so you could brew 10 gallons (38 L) and split half into a straight up American wheat beer and add fruit to the second half. 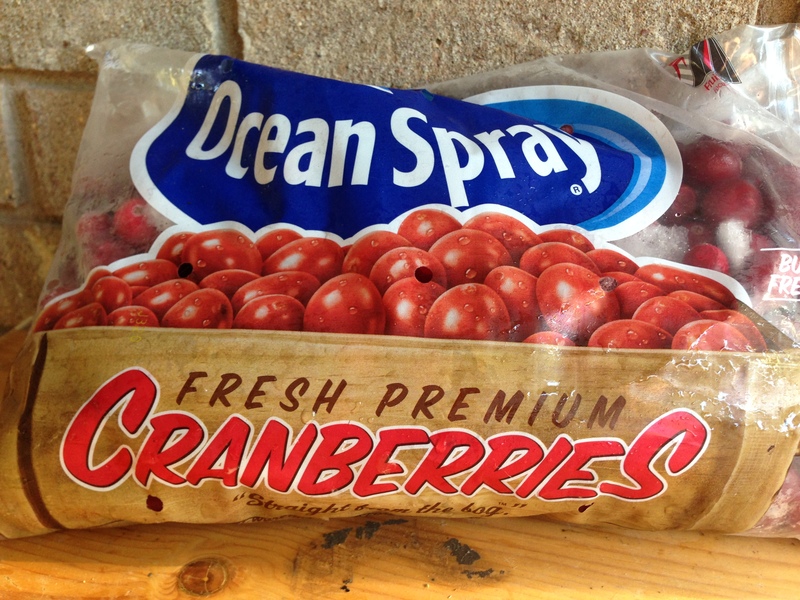 Cranberries are tart, and they are also a bit tannic. The orange pith in the recipe (part of the whole orange) gives some added bitterness beyond the hopping (which is low). The dry, tart, slightly puckering flavor (and mouthfeel) of the beer is accentuated by the high level of carbonation. This beer ferments quickly (3–4 days) and, after the beer has contacted the fruit for about a week, you can keg it and it will be ready to go. If you keg your beer, you can brew the base this weekend and have it ready for Thanksgiving. Mash grains at 152 °F for 60 minutes. Use 11 qts. of strike water. If you can, mash out to 168 °F and sparge with water hot enough to maintain this grain bed temperature. Collect about 5.25 gallons of wort, and add water to make a pre-boil kettle volume of 6.0 gallons, or whatever volume you can boil down to 5.0 gallons in an hour. Bring the wort to a boil. Add hops and boil for 60 minutes. Add yeast nutrients with 15 minutes left in the boil. Stir in honey at knockout. Chill wort, aerate well, and pitch yeast. Ferment at 68–70 °F. When fermentation is complete (or nearly complete), make cranberry relish. Do this by rinsing the fruit in water, then combining cranberries, apples (minus the cores) and whole oranges (rind and all) in a food processor. Blend to the consistency of cranberry relish, or slightly “chunkier.” Place fruit in sanitized bucket fermenter and rack beer onto it. (You can put the fruit in a nylon steeping bag to keep it contained. You do not need to sanitize the fruit itself.) Add pectic enzyme. Let fruit contact the beer for 7–10 days, then rack beer to bottles or keg. Carbonate to 2.8 volumes of CO2. Mash grains at 67 °C for 60 minutes. Use 11 L of strike water. If you can, mash out to 76 °C and sparge with water hot enough to maintain this grain bed temperature. Collect about 20 L of wort, and add water to make a pre-boil kettle volume of 23 L, or whatever volume you can boil down to 19 L in an hour. Bring the wort to a boil. Add hops and boil for 60 minutes. Add yeast nutrients with 15 minutes left in the boil. Stir in honey at knockout. Chill wort, aerate well, and pitch yeast. Ferment at 20–21 °C. When fermentation is complete (or nearly complete), make cranberry relish. Do this by rinsing the fruit in water, then combining cranberries, apples (minus the cores) and whole oranges (rind and all) in a food processor. Blend to the consistency of cranberry relish, or slightly “chunkier.” Place fruit in sanitized bucket fermenter and rack beer onto it. (You can put the fruit in a nylon steeping bag to keep it contained. You do not need to try to sanitize the fruit itself.) Add pectic enzyme. Let fruit contact the beer for 7–10 days, then rack beer to bottles or keg. Carbonate to 2.8 volumes of CO2. Thx for the tasty recipe. Plan to brew it next month. Any suggestions for treating the water? Treat the water as you would for any pale beer. Most likely, you’ll want to keep the carbonates under 50 ppm and have at least 100 ppm calcium. If you worry about the chloride to sulfate ratio, keep it fairly balanced. In re adding honey at knockout; given the recent trend of adding whirlpool hops after the wort has cooled to prevent the flash off of volatile oils … should the same consideration be given to honey such that the wort is cooled to +/- 180°F before making the addition? You could wait until the wort cools down a bit to add the honey if you wanted to, especially if you’re using expensive honey. I’ve always just added the honey at knockout for convenience, but I can’t see any harm in adding it a little later — and it might help if the honey is very aromatic. Thx for answering all my questions. I’ll put it on my trophy shelf! How did the beer turn out? Turned out cranberries aren’t available year-round like just about every other fruit … so the FEB-15 batch lacked a little sumpin’sumpin like cranberries. Second and third go-rounds in the fall turned out more better; however … the cranberry presence was a tad subdued for my taste … probably b/c of too much apple and orange. Will likely cut the apple and orange additions in half on this fall’s re-brew. Batch #2 (avec cranberries) turned out delightful. Big hit at last year’s holiday party. It’s that time of year again … indeed. – #3 frozen / thawed cranberries milled through a hand-cranked food processor bagged & counter-weighted in two muslin grain sacs. 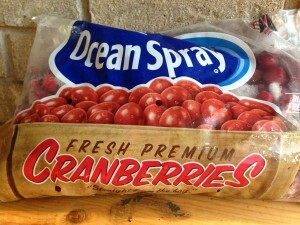 – Reducing apple and orange bill by half produced the desired sharper cranberry presence.